DevOps is now a mandatory CIO initiative and not merely a short-term trend. A proven competitive differentiator increases speed to market and operational efficiency as well as lowers costs, all helping to provide a return on investment. According to a report by Technavio, a leading technology research and advisory company with global coverage, the global DevOps market is expected to grow at a CAGR of about 19 percent until 2020. Although organizations are considering the practical aspects of making DevOps work for their software development life cycle (SDLC), various bottlenecks decrease the flow of WIP. “The biggest pain point that we have witnessed is customers developing cutting-edge solutions and applications into a platform, but facing difficulties when they are scaled into production,” states Adam Goodfriend, Chief Technology Officer of Elevated Computing. Understanding this immediate market need, Elevated Computing was determined to reshape the DevOps market with its outstanding services and solutions. The New York-based company “acts” as a bridge between the primary developer’s ideas and the formidable scalable infrastructure. Elevated Computing’s portfolio of services includes High Availability, DevOps/SysOps/ NetOps, Cloud Computing, Windows Servers, Linux, and Voice over IP (VOIP). It also provides IT consulting, managed IT, and disaster recovery solutions that minimize downtime and help control IT costs, as well as offer more options for employees to work remotely while providing new and better ways for them to communicate with clients. Elevated Computing provides all these services with the ability to handle an influx of demand, increased production, changing needs and even the presence or introduction of new competitors. This includes massive scalability, not just regarding hardware but also regarding development. “Scalability is the focal attribute for us; to be able to scale developers and users, regardless of the number of developers or users in the system, is very critical for the workflow,” states Michael Molinelli, President & CEO of Elevated Computing. Elevated Computing interacts closely with clients, collaborating with their developers to create an environment that meets the client requirements by building a stable and fully scalable underlying infrastructure. It provides them with a framework and a platform as well as a standard to “push” their codes onto the production stage with Elevated Computing’s production environment. 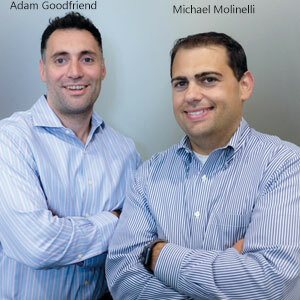 “We give them a path to go from development to staging to production through continuous deployment and other means of automation, whether it is in the cloud or data centers or even in local resources,” explains Goodfriend. This process helps configure and deploy server infrastructure software, providing end-to-end visibility in the deployment landscape. In one instance, Elevated Computing helped Atari, a giant in Consumer electronics and video game manufacturing, to address a crisis for its offsite data center transfer, which had destabilized. Elevated Computing approached Atari’s problem logically, from an engineering perspective, discussing the network issues, then the server issues and finally, email concerns. Within a few hours, four-fifths of Atari’s services were up and running again, which was the most essential 80 percent of Atari’s bottom line. “When people are in crisis, we get the call to help them out of it,” adds Molinelli. Elevated Computing mitigated numerous such cases and issues with ease and finesse deeming it a go-to provider for companies in IT crisis. Elevated Computing is currently working on harnessing the power of Blockchain and further utilizing the cloud infrastructure. With its wide range of service offerings, years of experience, dominant infrastructure team and core technical supremacy, the company is now recognized by every industry giant in the market.